CHOICE Award WinnerTransport and transformation processes are key for determining how humans and other organisms are exposed to chemicals. These processes are largely controlled by the chemicals’ physical-chemical properties. This new edition of the Handbook of Physical-Chemical Properties and Environmental Fate for Organic Chemicals is a comprehensive series in four volumes that serves as a reference source for environmentally relevant physical-chemical property data of numerous groups of chemical substances. The handbook contains physical-chemical property data from peer-reviewed journals and other valuable sources on over 1200 chemicals of environmental concern. The handbook contains new data on the temperature dependence of selected physical-chemical properties, which allows scientists and engineers to perform better chemical assessments for climatic conditions outside the 20–25-degree range for which property values are generally reported. 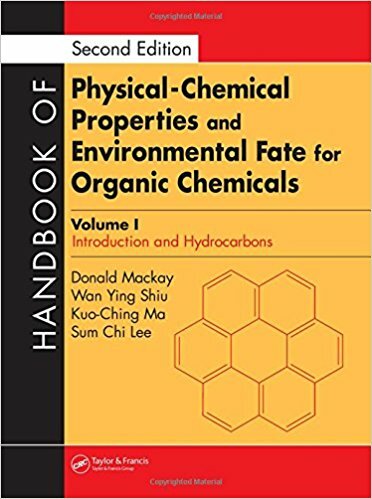 This second edition of the Handbook of Physical-Chemical Properties and Environmental Fate for Organic Chemicals is an essential reference for university libraries, regulatory agencies, consultants, and industry professionals, particularly those concerned with chemical synthesis, emissions, fate, persistence, long-range transport, bioaccumulation, exposure, and biological effects of chemicals in the environment.